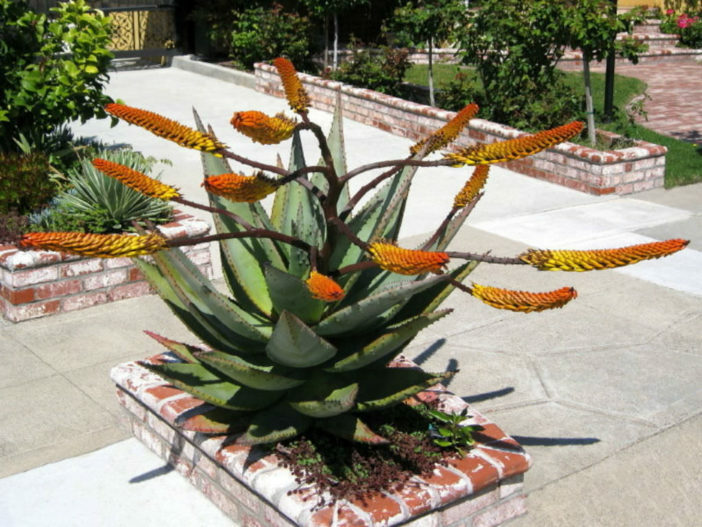 Aloe marlothii is a large, single-stemmed succulent, up to 10 feet tall, with persistent old leaves making a skirt around the trunk. 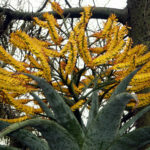 The leaves are large, gray-green in color, up to 1.5 m long, with reddish-brown spines along the margins and randomly on other parts of the leaf. 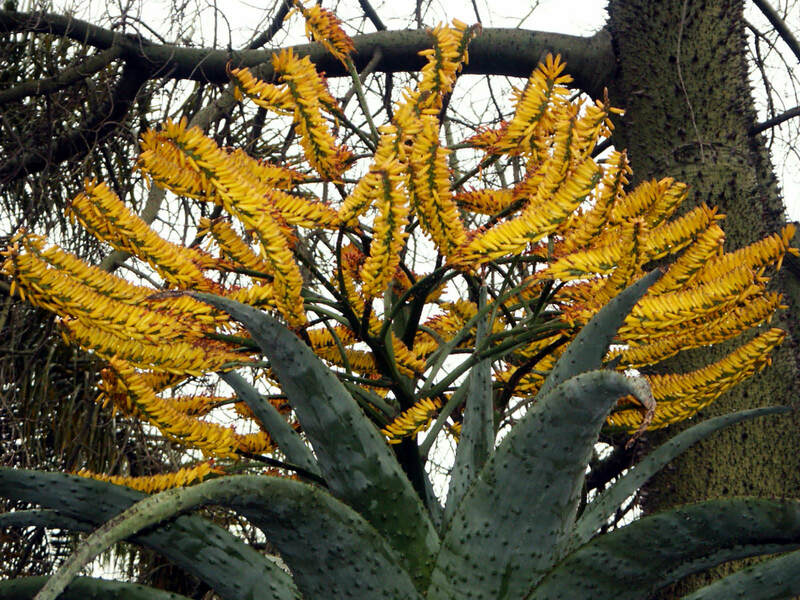 In late fall to late winter appears the wide-spread branching inflorescence bearing yellow through orange to bright red flowers. 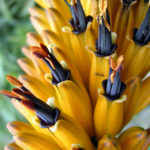 Aloe is a very forgiving plant, and a well-grown plant can be quite beautiful. 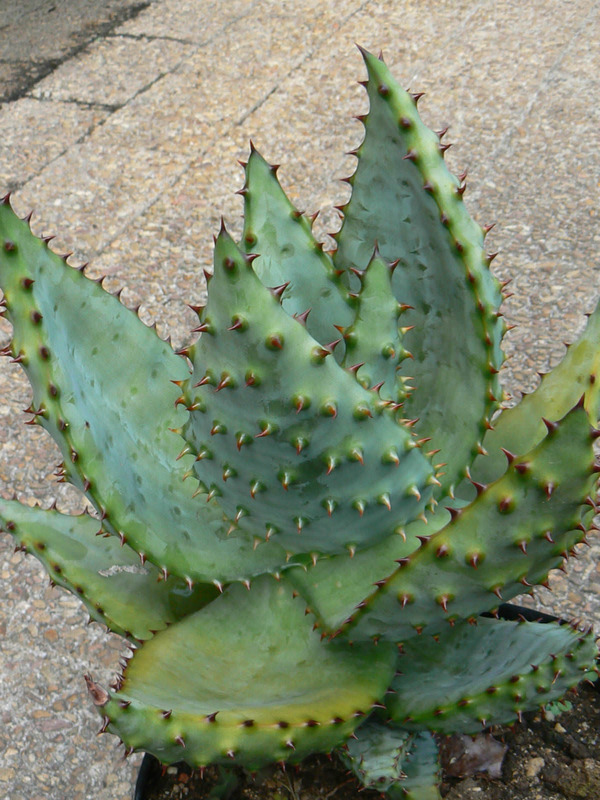 As with all succulents, it’s essential that Aloe is never allowed to sit in stagnant water, and the plant should be carefully monitored to watch for signs of overwatering. Prefers warmer temperatures of 70ºF/21ºC to 80ºF/27ºC, but will survive down to 40ºF/4.5ºC. Feed with a cactus fertilizer in the summer only. Suspend feeding in the winter as the plant goes dormant. 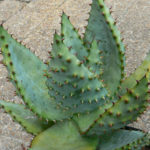 Aloe are not particularly fast-growing and will only rarely need repotting. Repot plants in the spring that are tipping over their pots or have ceased growing. 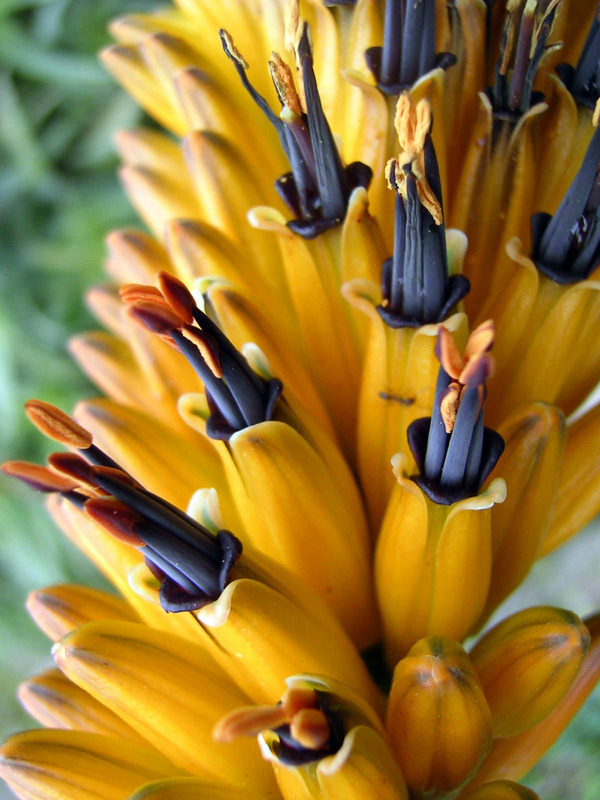 Use a fast-draining potting mix with one-third sand or pebbles… – See more at: How to Grow and Care for Aloe. Native to South Africa, Swaziland, Zimbabwe, Botswana and Mozambique.